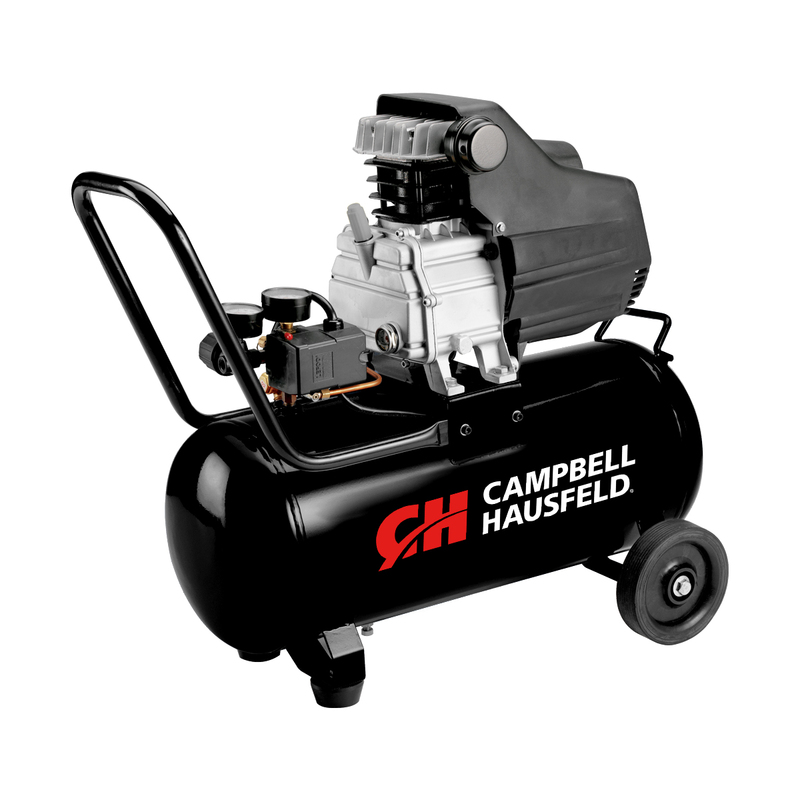 The Campbell Hausfeld 8-gallon air compressor (HX510500AV) is ideal for the home garage or workshop. The cast-iron, oil-lubricated pump is designed for durability and long-lasting, reliable performance. Delivering 3.7 CFM of air @ 90 PSI, this air compressor can operate many different kinds of air tools, including air nailers, air staplers, air ratchets and spray guns, making it perfect for many fastening, tightening, bolting, inflating and painting jobs. Operates on 120-volt household current.